Before looking ahead, let’s take a look back at 2018. The new trade tariffs created a lot of uncertainty in the fastener industry, especially the new steel tariffs and proposed tariff increases on Chinese fasteners. However, growth in residential and commercial construction as well as manufacturing continued to drive fastener demand. To help meet our customers’ needs, we added more products to our catalog in 2018. In September, we added Goebel Fasteners to our product line. Goebel is the German manufacturer of specialty fasteners such as waterproof rivets, triple-claw blind rivets, and cordless riveting tools. Bay Supply also became a fully authorized dealer of FAR Fasteners, an Italian manufacturer of high-quality blind rivets, blind rivet nuts, and riveting tools. We also expanded our catalog of riveting tools with the latest in battery-powered rivet guns, including the Huck Range Force Battery Tool. We extended our customer outreach program to share more of our fastener knowledge in 2018. We developed new educational tools, such as our e-books on blind rivets and rivet guns and our infographic detailing all you need to know about Huck Bolts. And, of course, we started this blog so we can continue to provide you with timely information and insights about the fastener industry. 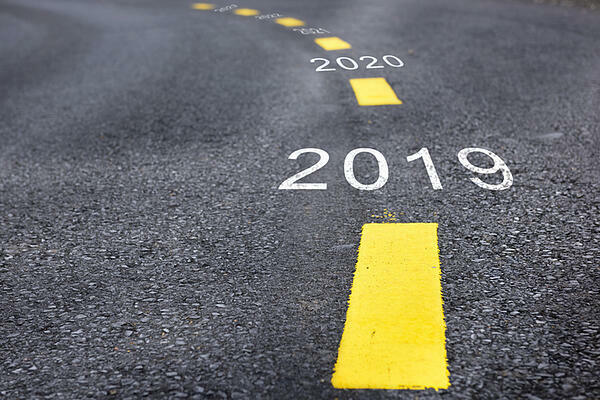 As we start 2019, we have a number of strategies in the works that will prove a boon to our customers. We are building new international OEM and distributor registrations. We also plan to expand our discount membership program for our four core purchasing groups: agriculture, solar and green energy, trucking and transport, and rail. Since we know that our customers want easy access to the latest fastener information, we are redesigning our website to make it more comprehensive and more user-friendly. In the coming months, you will be able to use the website to research fastener products, expedite and track orders, and contact us for quick answers to your fastener questions. Bay Supply is committed to offering you the best fasteners and tools available, so we will continue to expand our catalog in 2019 with more products from new vendor partners, including international suppliers such as FAR and Goebel. In particular, we are planning to expand our line of wire thread inserts with new inventory from Recoil, KATO, and Heli-Coil. We also plan to expand our riveting and blind bolt tools for the aerospace industry with more products from Cherry Aerospace, Huck/Arconic, and Gage Bilt. We’re also working on exciting areas as part of our ongoing commitment to improvement and customer service. Bay Supply is completing its ISO 9001 Certification program, which certifies our company’s strong customer focus and commitment to providing consistent high-quality products and services. We are upgrading our international shipping capabilities. 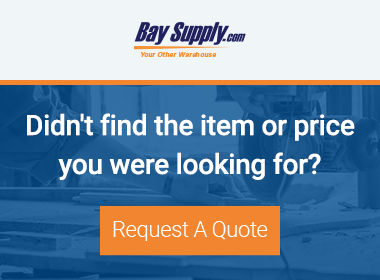 Now, customers have direct access to top brand fasteners and tools that were previously hard to procure on a reliable basis, and at wholesale prices. Our domestic customers can now ship products internationally. We also have negotiated aggressive shipping discounts with UPS so we can reduce the cost of freight with fixed duties and taxes at checkout. Our goal is to simplify international shipping and eliminate unexpected custom costs and delivery delays. In fact, you can expect to see a number of innovations in warehousing and shipping in the year to come. We are looking forward to 2019 as a year of growth and positive change for Bay Supply. Of course, our success relies on the quality of our goods and services and the loyalty of our customers. Here’s to a prosperous 2019 for all of us.